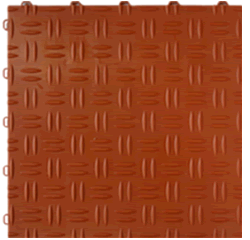 DiamondDeck® floor tiles is a synthetic floor tile with a tear plate design for indoor and outdoor use. 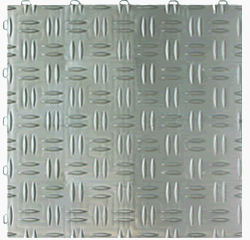 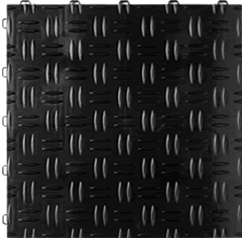 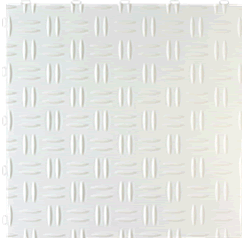 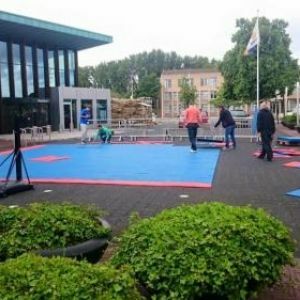 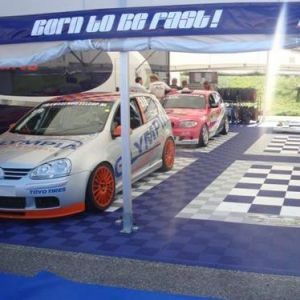 These tiles are the ideal solution for your stand on tradeshows, showroom, car show, shop, garage or anywhere where a High Tech floor is required. 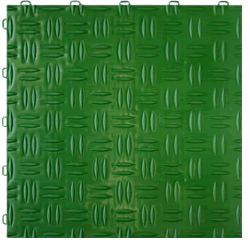 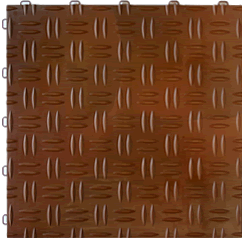 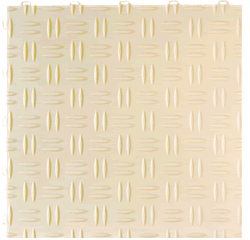 You yourself pick the desired pattern and the colour combination that makes your showroom, car or motor stand out best. 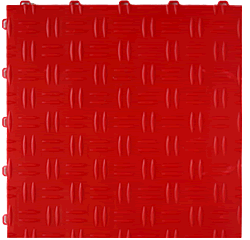 DiamondDeck floor tiles are also the ultimate solution for cracked concrete floors and concrete floors that have become filthy. 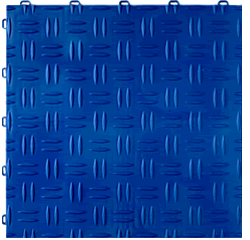 The DiamondDeck modular floors are also the ideal solution for mobile or permanent catering businesses. 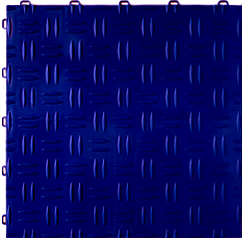 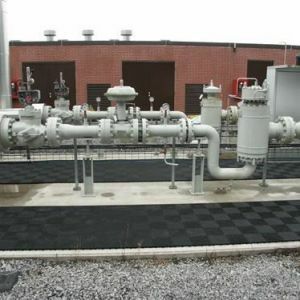 DiamondDeck® System Floors consist of loose tiles that are laid "suspending". 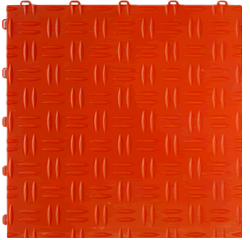 The tiles are made of a special polypropylene co-polymer and are resistant to solvents, fuels or chemicals. The floor tiles are easy to clean and therefore very hygienic. 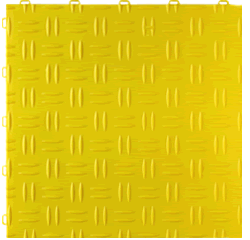 The tiles are easy to install and you can always take them with you, for instance when you move or for your stand or car shows.